2) Encourage the development of operator-specific OTT apps. 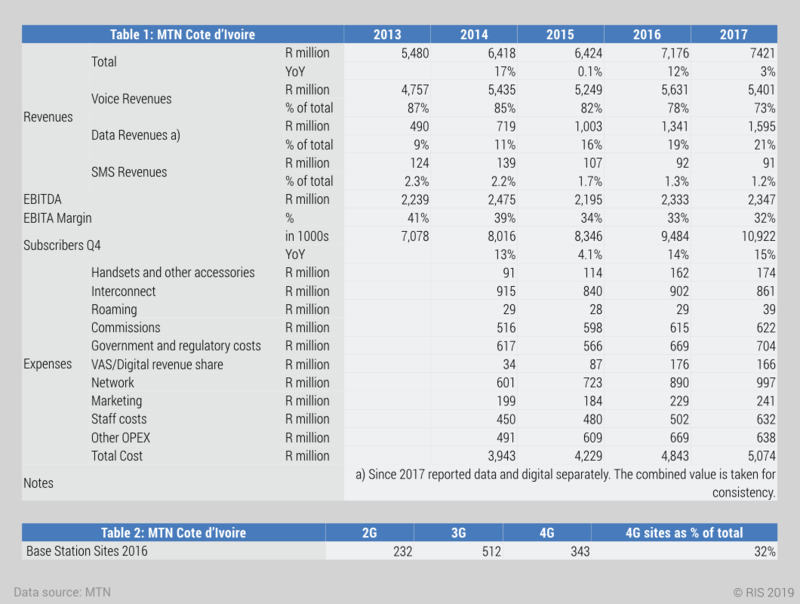 Operator data shows that revenues for MTN have increased (Table 1). Subscribers have also increased year on year. Data as percentage of total revenues has increased from 9% in 2013 to 21% in 2017, which is still low in international terms. Voice revenues increased, despite voice making up a smaller share of total revenues. SMS revenues decreased but data revenues more than compensated for the SMS revenue loss. Sonatel Cote d’Ivoire has also seen strong revenue and subscriber growth (Figures 1 and 2). With good 3G/4G population coverage and strong revenue growth, OTT apps have had a beneficial impact on operators in Cote d’Ivoire. Concerns about OTT apps are likely to be overshadowed by regulatory interventions, such as the withdrawal of the fourth mobile license, a new tax on each mobile money transaction of 0.5%, and Quality of Service fines. Sonatel (Orange) and MTN show strong revenue growth. The main success factor is the ability to provide fast data services via 3/4G and thus cater for the higher data demand driven by OTT apps. 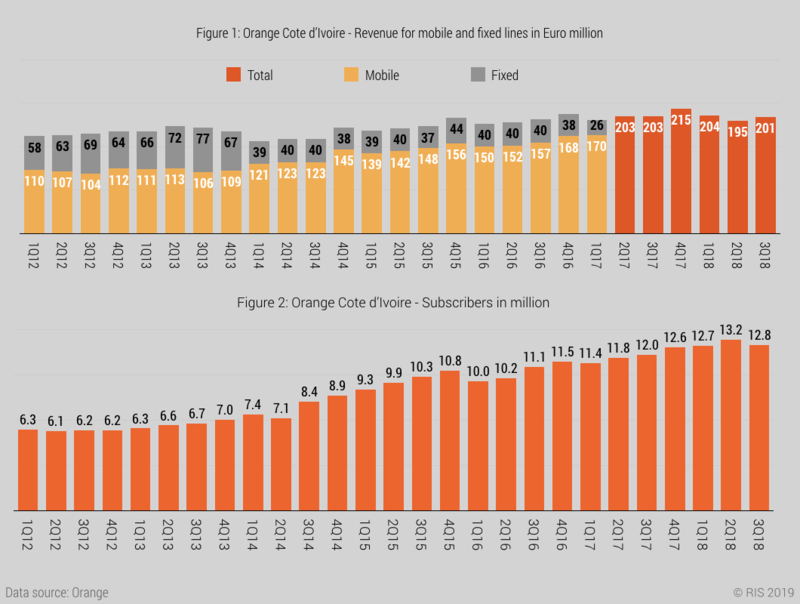 Voice revenues for MTN Cote d’Ivoire increased despite making up a smaller share of total revenues. SMS revenues decreased while data revenues more than compensated for the SMS revenue loss.